Paige Hill: It's time for another FABRIC GIVEAWAY! Let me introduce you to my friend Amanda. I was lucky enough to meet her in person at Spring Quilt Market this year in SLC and she is such a sweetheart! 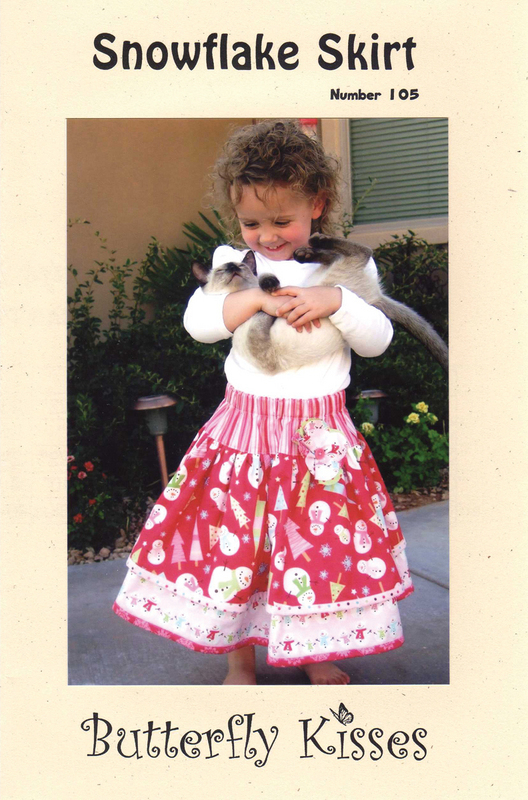 Plus, she designs the cutest patterns! She even let me wear this FABULOUS hat! Hats are BIG in Amanda's world! 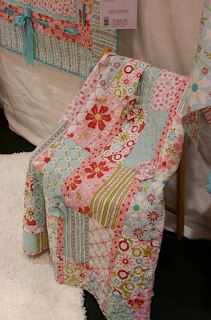 So are beautiful quilts and GORGEOUS fabric! Plus, she's got some great things up her sleeve, including a new Scrapbook line with Bazzill. I can't wait to use it! And did I mention the GLAMP? How cool is that? You can make a shower curtain! I hope I can hold it together for the first day ... SNIFF! Now that you've seen a sample of her work, how about a chance to WIN some of her fabric? two packs of 5" squares, one pack of 10" squares and two bundles of FQ's (7 in each bundle)! Think of all the creating you can do with THAT! WOW! All you need to do is comment to this post and you're entered! How about some extra entries? Make sure to comment for each extra entry and don't forget to leave a way for me to contact you. I will leave this post open until Thursday, September 1st at Midnight (MST), so make sure you get your comment in! Lovely fabrics! The reds and blues look beautiful together. Cute fabric. I've got lots of WIPS and could use some new pieces to liven things up! Lovely fun and colorful designs - Love them! Paige! Your fabric is gorgeous and so fun. I LOVE HATS TOO! I gotta make some of your hats. Keep up the great work. I found you from the Where Women Create fb page (so ya know). What amazing fabrics! Red and Aqua/Turquoise is my FAVORITE color combination! In love with the fabrics! also following Quilted Fish on fb. I love your blog! I found it from a Where Women Create and am excited to follow it! You are lucky to be friend with Amanda! She has fabulous ideas that I want to make! Thanks for sharing them! also following Riley Blake on fb. First things first Paige. I was a follower of your blog and then tonight I wasn't so here I am again, your follower/stalker. 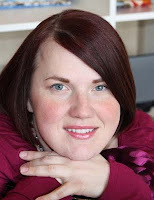 I love your blog and can't believe I didn't realize I wasn't here any longer. But as I said I'm back and will pay closer attention that I stay! I'm friends with Quilt Fish. I am a follower of The Quilted Fish on FB. I just love everything and I do mean everything I have ever seen that she has done. What an awesome gal! I need just an "inth" of her talent. Thanks for the heads up about The Quilted Fish! I am a follower of Riley Blake on FB. Definitely shows good taste in designers, don't ya know! I should have thought earlier to follow Riley Blake on FB. I love the pink cowgirl prints along with tons of others!! I,m friends with Paige Hill. I really love that color combination! Lovely fabrics. :) Thanks for an AWESOME giveaway. And already following your blog, too! Thanks for the chance! I have seen this line before and would love to win it! So timeless. 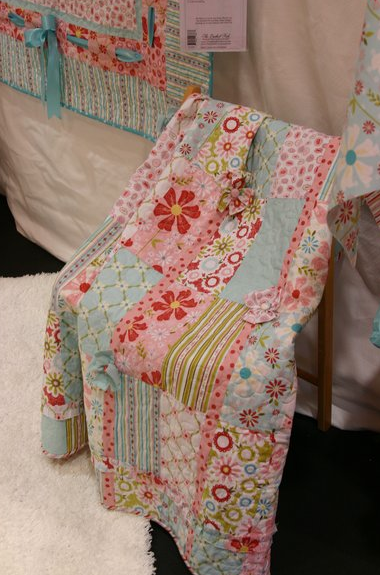 Got here from the WWC Facebook post a few minutes ago, and I've become a fan of both Quilted Fish and Riley Blake! I don't have any fabrics like this in my stash, so it would be great to incorporate a few with the batiks I usually work with! Yes please! I would love to win! Little girl due anytime in the next 4 weeks, so I could use some girlie fabric! I follow your blog! Thanks for the chances to win! I Love it all. 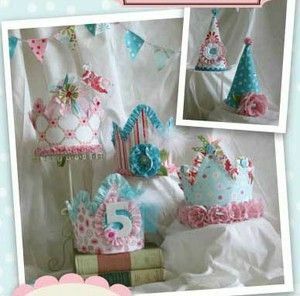 I would love to do the hats for my granddaughter's next birthday! Who wouldn't want some of this fab fabric? I am now following your blog. What a great range of fabrics...love the colours, so fresh and vibrant! Have signed up to follow all three of the links. Thanks so much for the opportunity. ... and following Riley Blake Designs on FB. This is toooooo sweet!! Love! I love her fabric - count me in. Would love to make a quilt or some other goodies from this! Her laminated cottons are lovely as well. Love the fabric! Thanks foir a chance to win some! 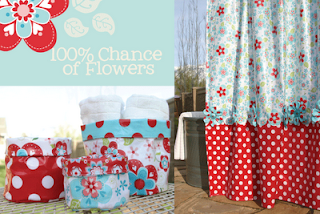 I would love to win this fabric! These were the colors for my wedding and also the colors for my photography business. 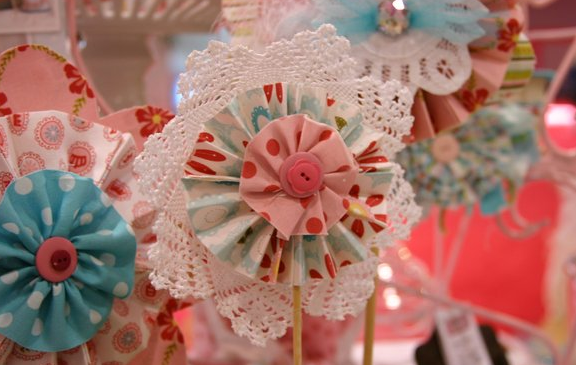 I would love to make a camera strap, make some disc covers for my clients' photo cds as a unique way to package their sessions and make something special for my 2 little girls like some fabric flowers for headbands and bows. Lots to do and create with that much fabric! I am now following your blog!!! So excited about it too! I am following and left comment on The Quilted Fish on Facebook! Love all of her stuff and amazing ideas! 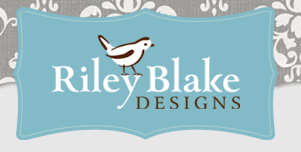 I am following and left comments on Riley Blake Design on Facebook! So glad I did! Gorgeous fabrics. 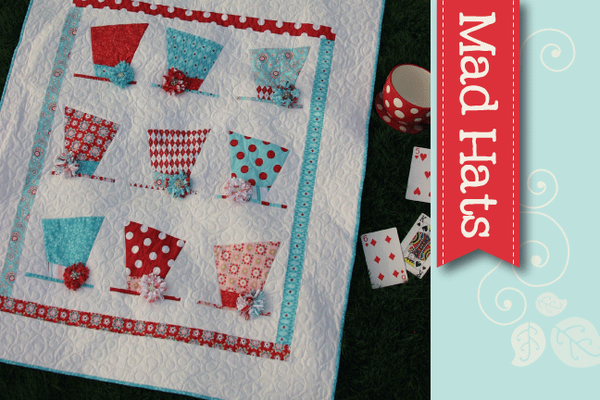 I love Sugar and spice and that mad hatter pattern is FAB!!! Such sweetness....would LOVE to win. Good luck to all!!! Love the designs! CUTE STUFF! What an amazing giveaway! I love the fabric! Actually, I also love her hats, I love her flowers...and the glamps, of course! I want to win! I am a new fan on Facebook for The Quilted Fish and Riley Blake. Thank you for the opprotunity. I like Quilted Fish on Facebook. I love the hats and the red and blue together. I take care of a 99 year old lady who needs one of your hats. She is really a kid at heart. 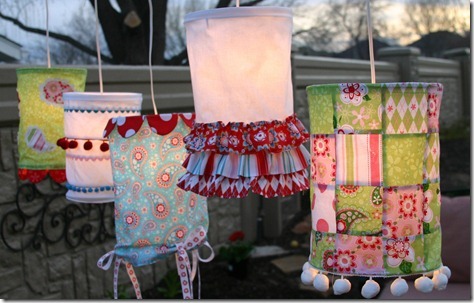 Such lovely fabrics and creations!Thanks for introducing and the give away! Amanda has created some wonderful fabric and can just see the items I could create with it. Thanks for a great giveaway. Have been following Riley Blake. *Follow my Blog:) check and I found you through Where Women Create on facebook. Very cute fabrics and lobe the colors too! Thanks for a chance to win! What a fabulous giveaway!! I am follower tom your blog too! I've "liked" Riley Blake Designs on Facebook quite a while ago. LOVE their fabrics. Beautiful color combinations that would be perfect for a new project. I love the different hat ideas! Just smile through the tears on that first day of school. It will pass, and she'll always be your baby! Liked Riley Blake on Facebook. YAY! I love the colors and patterns of this fabric! COmpletely beautiful:>) Thanks for the chance to win! Your fabric makes me SMILE!! 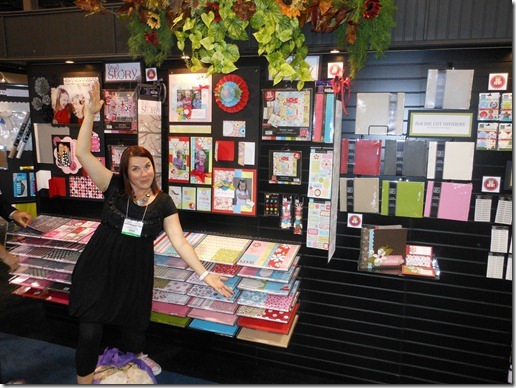 AND I am sooooo happy to see you entering the scrapbooking world!! Love, love, love those yummy colors. Brings a smile to my face. 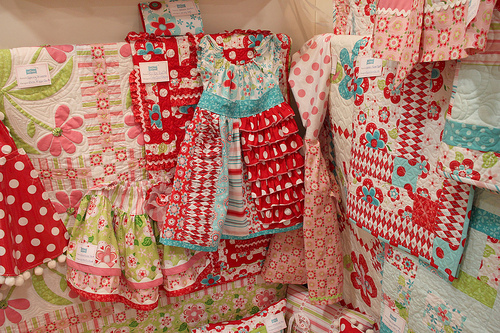 Oh, these fabrics are like what I dream when I dream that I am in a yummy quilt shop! So cute! Please count me in, thanks! 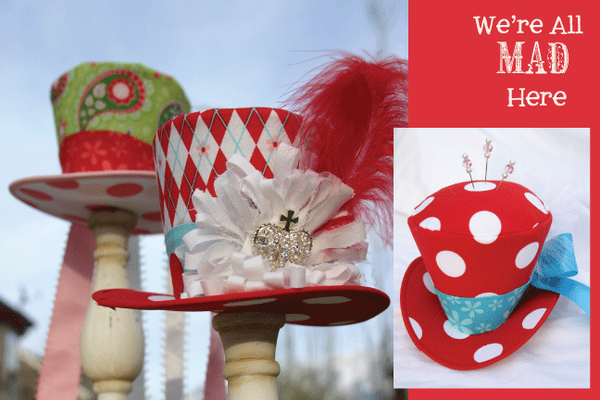 Love everything, but the hats are wonderful! Would love to win! I love the fabric. Turquoise and red is a great color combination. How fun! Thanks so much for doing this generous giveaway! Fabulous! Even if I don't win (which I would love to do) i'm going to have to hunt this down and buy some!! So cute! Love the red and turquoise color palette! I love everything about that fabric!!! These fabrics look so gorgeous! I made one of of her crowns for Addi's b-day and she hasn't stoppped wearing it, since February! Cutest designs ever! Very cheerful fabrics! Sure would be nice to win this collection--thanks for the chance! The more I look at your fabric, the more I see possiblities for some of the dolls I like to make. Thank you for the chance to win some of your fabric. I just love the colors!!! Wow, cute cute cute!!! Soooo beautiful! Love the color combinations, my favorites. Congratulations on all things lovely! Now I have to go find your patterns. I arrived here starting at The Lettered Cottage. Fun trip I must say. A Glamp!! Too cool. Gotta get me one of those in Lime Green! 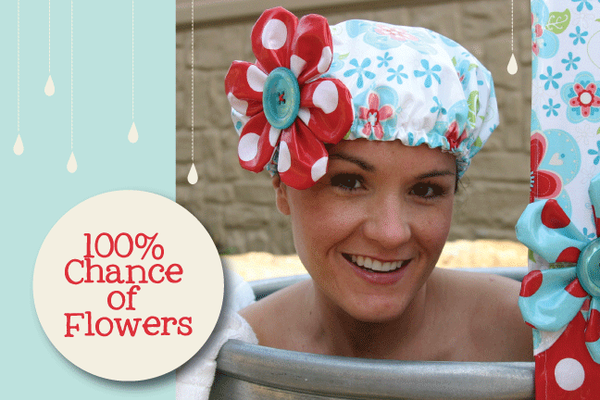 Love, love the shower cap. What cute fabric! I LOVE IT!! 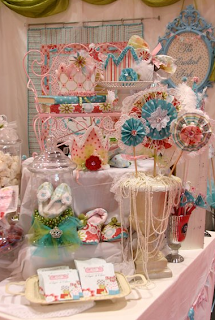 Beautiful designs and fabrics! The hat is my favorite! Love the fabric. My sewing machine is just screaming at me to come and play. Beautiful and fun! 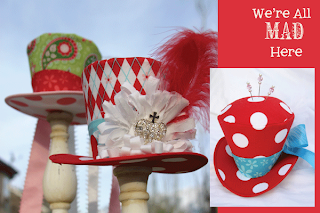 Love your fabric and all else, would love to make some of your hats.. Happy I found you. Super cute. Love the blue and reds... and pinks!!! 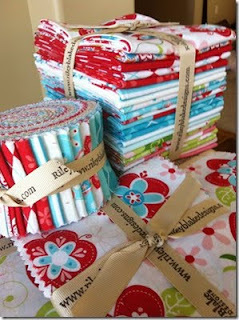 I'm already planning the fabulous Christmas gifts I could make with these - they are such happy fabrics! I like TQF on Facebook! LOVE the fabric! And all the projects!